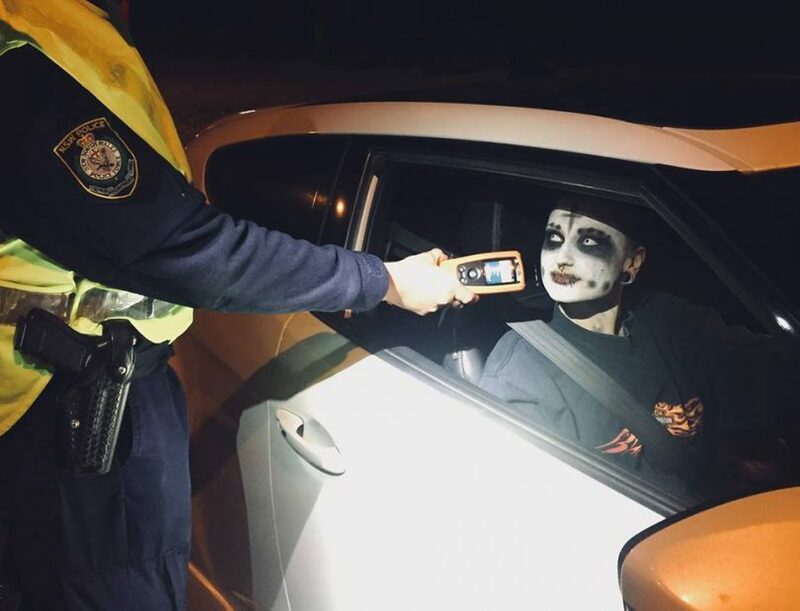 Police at Wagga Wagga got a surprise when they stopped this motorist over the weekend for a breath test, he passed and went on to enjoy his weekend. Photo: South Coast Police Facebook. Police across Southern NSW have wrapped up their three-day road blitz by asking all road users to share the responsibility for safer driving behaviour. Operation Chrome was rolled out on Friday and concluded on Sunday; the aim was to reduce road trauma, but sadly four lives were lost during the course of the operation. Officers from all police districts within the Southern Region worked alongside officers from the NSW Traffic & Highway Patrol Command. During the operation, officers conducted 26,852 random breath tests, with 82 drivers allegedly returning a positive reading. Officers also conducted 781 random drug tests, with 53 returning a positive result. Police stopped 341 drivers for speeding and 15 for not wearing a seatbelt or a helmet. Officers including those from Moruya, Cooma, Merimbula, Yass, Braidwood, and Moss Vale interacted with more than 30,000 road users, directly asking for caution as poor driver behaviour continues to cost lives on rural roads. At about 7 pm on Sunday (April 29), emergency services were called to Gerogery Road, at Jindera near Albury, after two cars collided. The male driver and female passenger of a blue Lexus died at the scene. Also on Sunday, a 43-year-old man died in a single-vehicle crash at Burley Griffin Way, in Yenda near Griffith. Police are investigating the circumstances of the crash. And at about 3:10 pm on Saturday (April 28), a 61-year-old woman, who was a pillion passenger of a Kawasaki motorcycle travelling east on the Snowy Mountains Highway at Tumut, was ejected from her seat after a tree branch fell and struck her. 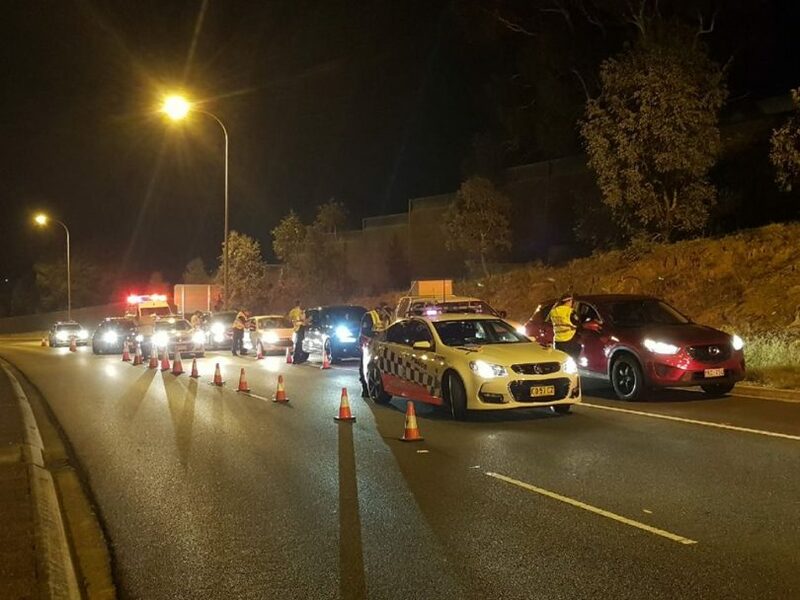 Officers conducted 26,852 random breath tests during Operation Chrome, including on Canberra Ave, Queanbeyan. Photo: South Coast Police District Facebook. Assistant Commissioner Peter Barrie, Southern Region Commander, says the tragic loss of life is a reminder for all road users to heed the advice of police. “Entire families and communities are feeling the loss of loved ones and every road user must accept that safety on our roads is a shared responsibility. “Road safety is everyone’s responsibility. If every driver or rider takes personal responsibility for their actions, it will save lives. It’s that simple,” Assistant Commissioner Barrie says.